Why Pay Thousands on Professional Heat Treatments When You Can Kill Bed Bug Yourself Using the Same Heaters the Pros Use? 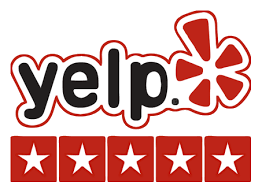 Easy to Use Videos and Professional Support with All Rentals from Arizona’s Most Experienced Bed Bug Heat Company! Treats Up to 300sqft! The DIY Budget heat package is the most inexpensive and perfect bed bug heater package for almost any small or spot DIY Bed Bug Heat treatment in residential and or commercial settings. This package is best when bed bugs have just been discovered and are localized to one room with little to no clutter. For this package to be effective it is critical no over the counter repellent chemicals such as sprays or foggers have been used prior to treatment. *Please note that all prices are subject to change. *EQUIPMENT DEPOSIT MAY BE REQUIRED. *Sales tax and delivery fees may apply. Treats Up to 400sqft The DIY 100 Bed Bug package allows for single bedrooms or similar sized spaces with low to medium infestation levels with some clutter. This package is best when bed bugs have just been discovered and are localized to one room with medium to no clutter. For this package to be effective it is critical no over the counter repellent chemicals such as sprays or foggers have been used prior to treatments. *Please note that all prices are subject to change. *EQUIPMENT DEPOSIT MAY BE REQUIRED. * Sales tax and delivery fees may apply. Treats Up to 800sqft The DIY 200 Bed Bug package allows for larger bedrooms, apartments or similar sized spaces with low to medium infestation levels with some clutter. This package works best when bed bugs have just been discovered and are localized to one area with medium to no clutter. For this package to be effective it is critical no over the counter repellant chemicals such as sprays or foggers have been used prior to treatments. *Please note that all prices are subject to change. *EQUIPMENT DEPOSIT MAY BE REQUIRED. * Sales tax and delivery fees may apply. 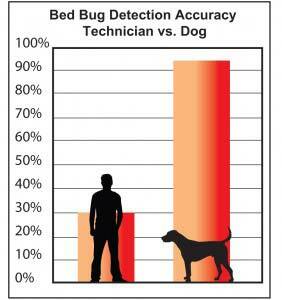 (Recommended for Pre or Post Bed Bug Heat) Service Not Available In All Areas Detection dogs have been working for police departments and various government agencies around the world for decades. They have time and time again proven themselves as an effective and reliable tool for locating various items such as illegal drugs, cell phones in prisons, termites, cancer cells on humans, explosives and even bed bugs. To make sure you know where the bed bugs are or to make sure the treatment worked we perform comprehensive K9 searches of any questionable area. The findings are given in a detailed/confidential report for your records. Search your home or business after applying heat to ensure your treatment was successful. Search your home or business before applying heat to make sure the bed bugs are isolated to one or two rooms. (Recommended for all Bed Heat Treatments to Ensure a Residual Effect. Can be scheduled before or after a heat treatment) Service Not Available In All Areas We recommend adding a residual chemical treatment service to any rental package. 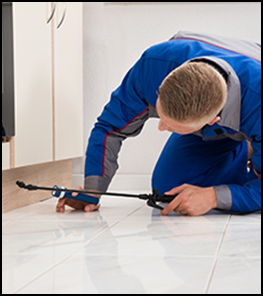 These services are performed by our network of highly trained and licensed pest control partners. The service typically consists of the technician using a variety of methods and products to insure bed bugs are eliminated from infested harborages or places that may difficult or impossible to heat. Add a residual treatment effect to your rental. Chemical Applications can be scheduled before or after a heat treatment has been applied. * Sales tax and delivery fees may apply. * Your AZEX Pest Solutions will contact you within 24 hours to verify schedule and collect payment. You will receive an email with your selections and your AZEX Pest Solutions contact info shortly after confirming your order. INDEMNITY/HOLD HARMLESS: CUSTOMER WILL TAKE ALL NECESSARY PRECAUTIONS REGARDING THE EQUIPMENT RENTED, AND PROTECT ALL PERSONS AND PROPERTY FROM INJURY OR DAMAGE. CUSTOMER AGREES TO HOLD HARMLESS RENTBEDBUGHEATERS.COM and AZEX Pest Solutions (A THIRD PARTY LEAD GENERATION SERVICE) ITS AFFILIATES AND THIS SERVICE AND OR AZEX Pest SolutionsFROM AND AGAINST ANY AND ALL LIABILITY, CLAIMS, JUDGMENTS, ATTORNEYS’ FEES AND COSTS, OF EVERY KIND AND NATURE, INCLUDING, BUT NOT LIMITED, TO INJURIES OR DEATH TO PERSONS AND DAMAGE TO PROPERTY, ARISING OUT OF THE USE, MAINTENANCE, INSTRUCTION, OPERATION, POSSESSION, OWNERSHIP OR RENTAL OF THE EQUIPMENT RENTED, HOWEVER CAUSED, EXCEPT CLAIMS OR LITIGATION ARISING THROUGH THE SOLE NEGLIGENCE OR WILLFUL MISCONDUCT OF AZEX Pest Solutions. ASSUMPTION OF RISK/RELEASE DISCHARGE OF LIABILITY: CUSTOMER IS FULLY AWARE AND ACKNOWLEDGES THERE IS A RISK OF INJURY OR DAMAGE ARISING OUT OF THE USE OR OPERATION OF THE EQUIPMENT RENTED HERE-UNDER AND HEREBY ELECTS TO VOLUNTARILY ENTER INTO THIS RENTAL AGREEMENT AND ASSUME ALL OF THE ABOVE RISKS OF INJURY OR DAMAGE. CUSTOMER AGREES TO RELEASE AND DISCHARGE AZEX PEST SOLUTIONS FROM ANY AND ALL RESPONSIBILITY OR LIABILITY FROM SUCH INJURY OR DAMAGE ARISING OUT OF THE USE OR OPERATION OF THE EQUIPMENT; AND CUSTOMER FURTHER AGREES TO WAIVE, RELEASE AND DISCHARGE ANY AND ALL CLAIMS FOR INJURY OR DAMAGE AGAINST AZEX PEST SOLUTIONS WHICH CUSTOMER OTHERWISE MAY BE ENTITLED TO ASSERT. POSSESSION/TITLE: Customer’s right to possession of the equipment begins upon equipment delivery by AZEX Pest Solutions and terminates on the agreed retrieval date indicated on the front of this Rental Contract. Retention of possession after this date constitutes a material breach of this Rental Contract. Time is of the essence of this Rental Contract. Any extension of this Rental Contract must be agreed upon in writing. Title to the equipment is and shall remain in AZEX PEST SOLUTIONS name. If the equipment is not returned and/or levied upon for any reason whatsoever, AZEX PEST SOLUTIONS may retake said equipment without further notice or legal process and use whatever force is reasonably necessary to do so. Customer hereby agrees to indemnify, defend and hold AZEX PEST SOLUTIONS harmless from any and all claims and costs arising from such retaking and/or levy. If equipment is levied upon, Customer shall notify AZEX Pest Solutions immediately. AZEX PEST SOLUTIONS will utilize its reasonable efforts to deliver and retrieve rental items from locations determined solely by Customer; accordingly, Customer assumes sole risk and liability for any personal or property damage occurring at such locations. RENTAL PERIOD/RATE/PAYMENT: Rental Period is for a maximum of twenty-four (24) hours unless a longer term is specified in the Rental Agreement Agreed Return Date on the front of this Rental Agreement. Rental rates are based upon single shift usage. If Customer makes greater use of the equipment, it is agreed that the additional usage will be charged. Rental charges begin immediately upon equipment delivery by AZEX PEST SOLUTIONS. Rental charges end upon retrieval of the equipment by AZEX PEST SOLUTIONS in an acceptable condition. No allowance will be made for Sundays, Holidays, or time in transit, nor for any period of time the equipment may not be in actual use while in Customer’s possession. If the equipment is returned prior to the end of the minimum rental period, the rental due shall be for the entire minimum rental period. AZEX PEST SOLUTIONS may terminate rental at any time and retake the equipment without further notice in case of violation by Customer of any terms or conditions of this Rental Agreement. Customer agrees not to use equipment in violation of environmental laws. ORDINARY WEAR AND TEAR: Customer shall be responsible for all damage not caused from ordinary wear and tear. “Ordinary wear and tear” shall mean only the normal deterioration of the equipment caused by ordinary, reasonable and proper use of the equipment. Damage which is not “ordinary wear and tear” includes, but is not limited to: damage, exceeding rated capacities; breakage; improper use; abuse; lack of cleaning; dirtying of equipment by paint, mud, plaster, concrete, resin or any other material. COMPLIANCE WITH LAWS/USE OF EQUIPMENT: Customer agrees not to use or allow anyone to use the equipment for any illegal purpose or in any illegal manner or in an unsafe manner. Customer agrees at his sole cost and expense to comply with all municipal, county, state and federal laws, ordinances and regulations which may apply to the use of the equipment during the rental period. Customer further agrees to pay all licenses, fines, fees, permits, or taxes arising from his use of the equipment, including any subsequently determined to be due. Customer shall not allow any person who is not qualified and who has not received and understands safety and operating instructions and who does not utilize all safety equipment required, to operate the equipment or use the equipment. Customer shall not allow any person to use or operate the equipment when it is in need of repair or when it is in an unsafe condition or situation; modify, misuse, harm or abuse the equipment; permit any repairs to the equipment without AZEX PEST SOLUTIONS prior written permission; or, allow a lien to be placed upon the equipment. Customer clean and visually inspect the equipment at least daily and to immediately discontinue use and notify AZEX PEST SOLUTIONS when equipment is found to need repair or maintenance or is not properly functioning. Customer acknowledges that AZEX PEST SOLUTIONS has no responsibility to inspect the equipment while it is in Customer’s possession. used. RETURN OF EQUIPMENT: Customer agrees to return to AZEX PEST SOLUTIONS the equipment in as good condition as when received, by Rental Agreement Agreed Retrieval Date. Customer shall be liable for all damages (up to the full replacement cost of the equipment and loss of rental revenue) to or loss of the equipment and liability incurred prior to equipment’s return to AZEX PEST SOLUTIONS. Customer shall be responsible for all costs incurred by AZEX Pest Solutions recovering and returning damaged equipment to AZEX PEST SOLUTIONS premises. If equipment is to be “picked-up” by AZEX PEST SOLUTIONS, Customer agrees to provide a secure storage location and Customer accepts all risk including damage to and liability relative to equipment for a reasonable period of time until the equipment is picked-up by AZEX PEST SOLUTIONS . DISCLAIMER OF WARRANTIES: AZEX PEST SOLUTIONS makes no warranty of merchantability or fitness for any particular use or purpose, either expressed or implied. There is no warranty or representation that the equipment is fit for Customer’s particular intended use, or that it is free of latent defects. AZEX PEST SOLUTIONS shall not be responsible to Customer or any third party for any loss, damage or injury resulting from, or in any way attributable to the operation of, use of, or any failure of the equipment. AZEX PEST SOLUTIONS shall not be responsible for any defect or failure unknown to AZEX PEST SOLUTIONS . Customer’s sole remedy for any failure of or defect in the equipment shall be termination of the rental charges at the time of failure provided that Customer notifiesAZEX PEST SOLUTIONS immediately and in writing of such failure and returns the equipment to AZEX PEST SOLUTIONS within twenty-four (24) hours of such failure. DEFAULT: Should Customer in any way fail to observe or comply with any provision of this Rental Agreement, AZEX PEST SOLUTIONS may, at its sole option, terminate this Rental Agreement, retake the equipment, declare any charges due and payable and initiate legal process to recover monies owed, and/or, pursue any other legal rights and remedies available to AZEX PEST SOLUTIONS. Exercise of any remedy available to AZEX PEST SOLUTIONS shall not constitute an election of remedies or a waiver of any additional remedies to which AZEX PEST SOLUTIONS may be entitled. RETAKING OF EQUIPMENT: If for any reason it becomes necessary for AZEX PEST SOLUTIONS to retake the equipment, Customer authorizes AZEX PEST SOLUTIONS to retake the equipment without further notice or further legal process and agrees that AZEX PEST SOLUTIONS shall not be liable for any claims for damage or trespass arising out of the removal of the equipment. LEGAL FEES: In the event an attorney is retained to enforce any provision (including collection costs) of this Rental Agreement, the prevailing party in the dispute shall be entitled to recover reasonable attorney’s fees and court costs in such action, or proceeding, in an amount to be determined by the court. SUBLETTING/LOCATION OF EQUIPMENT: Customer agrees not to sublet, loan or assign the equipment. Customer shall not move the equipment from the address at which Customer represented it was to be used. You will receive an email confirmation in a few minutes with your rental details and AZEX Pest Solutions contact information. Your AZEX Pest Solutions will contact you within 24 hours to verify the rental times and coordinate payments. Click the next button below to learn just how easy your heat treatments can be! Sign Up for Every Other Month AZEX Pest Control Services and Get Your Rental for Free! Includes a Post Treatment K-9 Followup and Residual Chemical Application!